See all Downtown Huntsville real estate listings below! Downtown Huntsville, AL is a place that features a unique real estate market when compared to the central cores of many other similarly sized cities. Whereas countless downtowns are characterized primarily by condo towers, homes for sale in downtown Huntsville are predominantly single-family detached houses — often historic properties. Still, the landscape of downtown Huntsville is consistently changing and progressing, and the variety of residences buyers can choose from are increasing in diversity: sleek trendy lofts are becoming popular picks. If you're looking for affordable, charming real estate at the heart of an upbeat city, homes for sale in downtown Huntsville are your best bet. Explore downtown Huntsville real estate by viewing the listings, or read about market trends & community life! This Gorgeous Home For Sale In Moorman & Newmanfeatures 4 Bedrooms, 2 Bathrooms And Is Built In The Beautiful 2story, Traditional Style. Listed At Only $475,000, This 2,786 Square Foot Residence Can Be Your Perfect Piece Of The Huntsville Real Estate Market. Sign up for an account with the Matt Curtis Real Estate Team to use the best search tools in the industry. You'll also be able to stay ahead in this competitive market: we'll deliver exclusive notifications right to your inbox. Try it out — it's free! Downtown Huntsville homes for sale are widely regarded as some of the most character-rich and desirable houses in Madison County. This district is known for its high concentration of beautiful historic homes that have been refurbished throughout the ages. Some of the downtown Huntsville districts with the most sought-after real estate are designated historic neighborhoods: Twickenham, Old Town, and Five Points are incredibly coveted locales. Twickenham was downtown Huntsville's initial historic district. 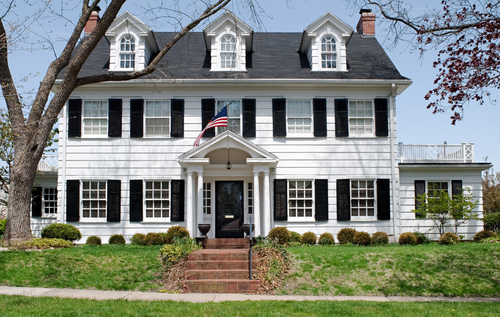 This neighborhood features gorgeous artisan homes dating back to the early 19th century. Some homes have retained their historic exteriors but have been divided into condos on the inside. Twickenham is known for its communally oriented residents, its breathtaking architectural styles, and the lush trees and greenery that surround its distinguished homes. Old Town is a beautiful part of town that showcases real estate featuring eclectic architectural flair and unique designs. Homes for sale in downtown Huntsville's Old Town display a mix of styles pulling from different eras and places in history—different, too, to when they were built. These styles include Greek Revival, Colonial, Federal, Arts and Crafts, Federal—and many more. Five Points is perhaps the most classic and popular of the downtown Huntsville historic communities. Five Points is a residential area that features stately detached homes with exceptionally spacious plans. Homes here generally follow a simple formula: historic facade, complemented by recently remodeled interiors. Renovations tend to be subtle and intended for functionality only, without compromising the homes' original style and character. Living in Downtown Huntsville real estate gives you access to unlimited choice in lifestyle. Downtown Huntsville is home to a flourishing economy as well as a wealth of fantastic businesses and startups. Beyond working, downtown is a top quality location for recreation, leisure, and entertainment. 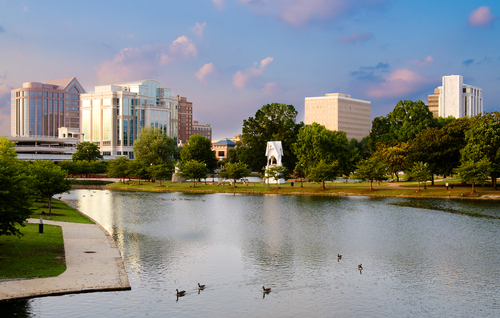 From cosmopolitan amenities to purely natural greenspaces, downtown Huntsville offers residents the best of both worlds. To the east of downtown, Monte Sano Nature Preserve offers more than 1,100 acres of natural geographic beauty featuring famous historic trails with enviable views. Within downtown, one will find a variety of vibrant cultural attractions, from year-round outdoor events, to specialty dining from around the globe, museums, breweries, antique shopping, and much more! If you're interested in buying a home in the vivacious community of downtown Huntsville, we can help! Contact The Matt Curtis Real Estate Team, experts on downtown Huntsville real estate.